An employee holds a circuit board for a Jaguar dual view infotainment control module at the Robert Bosch plant on Penang Island, Malaysia, in January. Bosch, the world's largest automotive supplier, expects to benefit as Toyota cuts its reliance on Japanese suppliers in favor of larger global companies. SEOUL (Bloomberg) -- On July 1, Nobuaki Katoh became an honorary citizen of South Korea. That's remarkable not only because he hails from regional rival Japan, but also because he runs the top component supplier for Toyota Motor Corp., the biggest competitor of Korea's Hyundai Motor Co.
Katoh, president of Denso Corp., partly owned by Toyota, received the citizenship certificate at a groundbreaking ceremony for the company's new Korean factory. The plant, which will supply Hyundai and its sister enterprises, illustrates a shift in the auto parts industry, from suppliers linked closely to one car manufacturer to a handful of global giants that build components for multiple automakers. "Suppliers are diversifying because they want to reduce the risks that come with being too dependent on one automaker, and to strengthen their price negotiating power," said Lee Sang Hyun, an analyst at NH Investment & Securities Co.
Denso's South Korean expansion comes as Johnson Controls Inc., Delphi Automotive Plc and Robert Bosch GmbH, Denso's largest global rivals, build up their presence in Japan with plans to win Toyota business. The change is being driven by automakers. Toyota, for instance, is seeking new suppliers to help it winnow parts variety globally and reduce the risk of parts shortages after natural disasters such as earthquakes and floods. And Hyundai this year diversified its supplier base when it contracted with Denso to make heaters for its Sonata sedan in the United States. The reshuffle is driving expansion at parts makers across Asia and shaking up the supply chains of auto producers. Japan imported more auto parts in June than in any month since October 2008, according to data compiled by Bloomberg. Johnson Controls, the world's largest producer of car seats and batteries, is expanding in Japan. Germany's Bosch has said it expects to benefit as Toyota cuts its reliance on Japanese suppliers in favor of larger global companies. And French component maker Faurecia SA is expanding in China and the United States as its controlling shareholder, PSA Peugeot Citroen, suffers and the European market continues to contract. Denso, which makes components ranging from seats to electronic controls to air conditioners, intends to plow 400 billion won ($350 million) into South Korea by 2020. The company supplies Korean clients with smart keys that can automatically unlock doors at a distance and devices that project information on the windshield. Denso declined to provide an executive for comment. 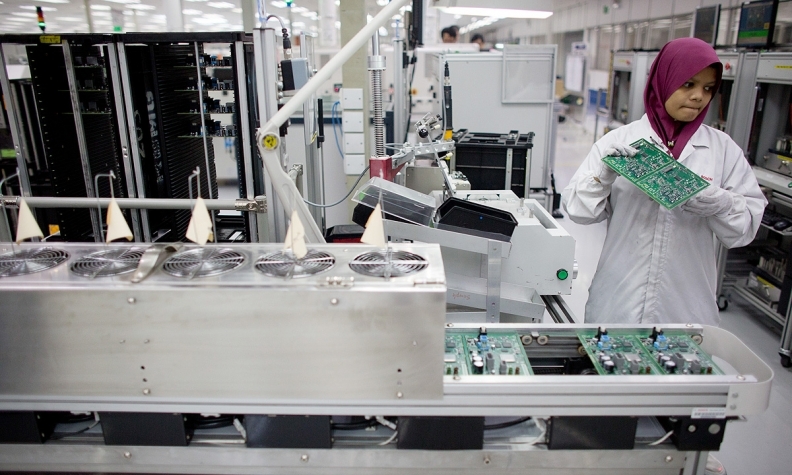 A Denso employee assembles parts for a cruise control system at the company's Daian plant in Inabe city, Mie prefecture, Japan. Denso is targeting new customers and output in Korea, North America, Cambodia and Poland to diversify away from Toyota. Hyundai Mobis Co., Korea's biggest parts maker and an affiliate of Hyundai Motor, is countering Denso's move by boosting its own overseas expansion. The company aims to become the world's fifth largest auto-parts maker by 2020, up from No. 8 today, by winning contracts from carmakers in the United States, Europe and Japan. Hyundai supplier Halla Visteon Climate Control Corp. is also seeking to broaden its customer base. The parts maker, which counts on Hyundai and its affiliates for half of revenue, lost out to Denso for making heaters for Hyundai's Sonata sedan in the United States. Now, the company says it has clinched enough non-Hyundai orders to keep sales rising at least 7 percent annually for the next three years. "We have a very good customer mix," said Halla CEO Park Yong Hwan. "The market had been concerned about our high dependency on Hyundai and we felt we needed to secure more customers and expand in other markets." Delphi, the former parts unit of General Motors, says changes in the way Toyota and Honda Motor Co. buy parts is opening the way for the company to build market share in Japan. "We've recently won a fair amount of business with Toyota and Honda where we actually are taking share," Kevin Clark, Delphi chief financial officer, said at a Barclays Plc conference earlier this year. He didn't elaborate on the contracts. The tradition of carmakers owning large stakes in their suppliers has come under scrutiny in South Korea, where the government is trying to weaken the chaebol, or family-run conglomerates, while encouraging Japanese companies to do more business in the country. 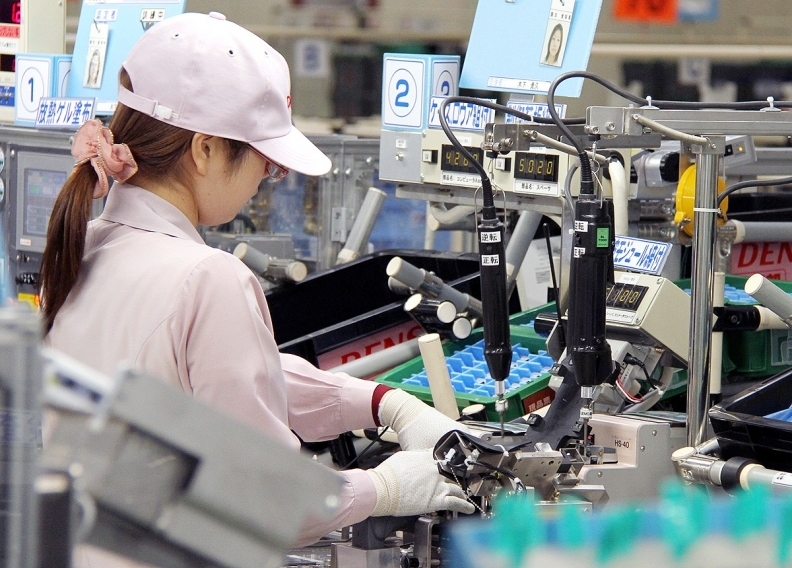 "Japanese parts makers are looking for room to grow and expand their customer lineup," said Shin Chung Kwan, an analyst at KB Investment & Securities Co.
Denso's expansion into South Korea comes as the parts maker looks to cut its earthquake risk, said Shin. The magnitude-9 temblor that rocked northeastern Japan in March 2011 disrupted production and led to component shortages that have prompted automakers to diversify sourcing geographically. Denso is also expanding production in North America, Cambodia and Poland and has said that it will pay about $1.9 million for 51 percent of Pricol Components Ltd., an Indian maker of instrument clusters for cars. While old alliances break down, the new ones will probably increase the market power of the biggest parts makers, said Masahiro Akita, an analyst with Credit Suisse Group AG in Tokyo. The changes in the component business will "increase the volume of parts purchased from a single supplier worldwide," he said. "This trend is just getting started."